The information below is now out of date, but feel free to read through it for an understanding of how the Bitstrips app worked when it was still available. 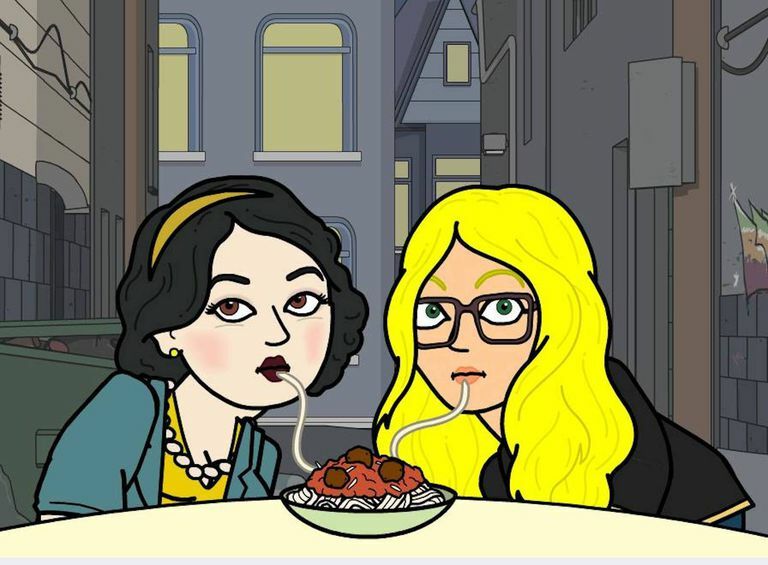 Bitstrips is a very popular comic builder app that people are using to create funny cartoons of themselves and tell stories about their lives through personalized web comics. Since all the tools are already provided for you, along with a wide range of scenes to choose from, making your own characters and building your comic is actually very easy. Browse through the following steps to see how you can get started and have your very first Bitstrips comic built and published in just a few minutes. To get started with Bitstrips, you need to download the app for iPhone or for Android. Alternatively, if you don't have a compatible mobile device, you can also use it through its Facebook app. Once signed in, Bitstrips will ask you to choose your gender and then give you a basic avatar design to start with. Tap the list icon found on the left to display a men of physical features you can customize. There are lots of options, so you can really have fun with making your avatar look exactly like you in cartoon form. When you're done, click the green checkmark button in the top right corner of the screen. When you're all done, you'll be able to access your home feed and a bunch of other options listed in the menu at the bottom, and you should notice a button labeled + Co-star at the very top. Tap this to see all your Facebook friends who are already using Bitstrips, and add anybody you want. The home feed features a few default scenes with your avatar, prompting you to share them or to add a new co-star friend. Tap the pencil icon on the bottom menu to start creating your own comics. You can choose from three different formats: status comics, friend comics or greeting cards. Once you've chosen a comic style, you'll be shown a bunch of different scene options to fit specific situations. For example, if you're making a status comic, you can choose a scene from the #Good, #Bad, #Weird or other categories -- depending on what type of story you want to share. After you've chosen a scene, you can edit it to make it even more personalized. A green edit button should is shown in the top right corner of the screen, which allows you to edit the facial expression of your avatars. You can also tap the default text shown beneath the image to change it and make it your own. And lastly, you can share your finished comic on Bistrips and/or Facebook. You can uncheck the Facebook option beneath the blue share button if you'd rather not share it on Facebook. You can edit your avatar any time by tapping the user icon in the middle of the lower menu, and you can even tap the book icon to look at archived comics that your friends previously shared. New customizable scenes are being added every day to the app, so keep checking in for new comic ideas and scenes available to share your funny stories with your friends.